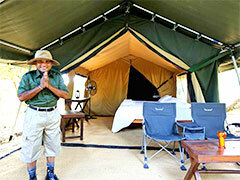 Camping in Sri Lanka can be an exhilarating experience. 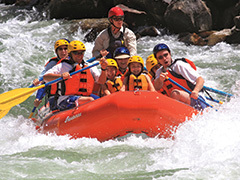 We will provide you a home out in the wilderness and make sure that you have the necessary comforts to make you feel comfortable in the jungle. 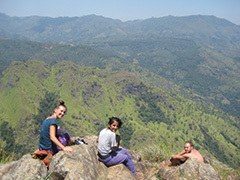 Wonderful beaches, marvelous mountains, exciting wildlife, spectacular cities or ancient history and lush green forests no matter what you're craving for, Sri Lanka is that the solely distinctive vacation destination that provides all the above excitements inside a really short reach and in numerous climates. Sri Lanka, the glorious island of paradise, is on the south of the Indian Ocean and is referred to as �The Pearl of the Indian Ocean'' due to the unaccountable beauty and stateliness, that Sri Lanka is fraught with. Wonderful beaches, marvelous mountains, exciting wildlife, spectacular cities etc..
Having a history marked by four centuries of colonial rule, the country still manages to safeguard remnants from the past in their original grandeur. Some of the more renowned historic sites are the Galle Fort built originally by the Portuguese, Colombo Harbour and the ancient city of Polonnaruwa all confirm Sri Lanka�s ancient and colourful past. 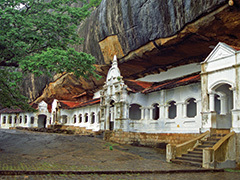 The rock temple of the Buddha, Gal Vihara is one of the finest examples of the religious heritage. 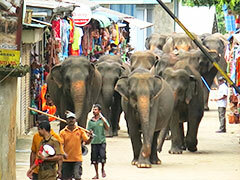 Temples play an important part in everyday life and a visit to one should be a must for all visitors. The largest city in the East of Sri Lanka, Trincomalee, etc..
On Arrival at Colombo International airport you will be welcomed by our representative/Chauffer guide/National Guide. 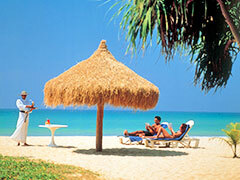 Upon completion of arrival formalities leave for your chosen hotel at Negombo. The largest and the best preserved cave monastery in the island, Dambulla is a sacred pilgrimage site for followers of Buddhism for no less than 22 centuries. A cave complex comprising five sanctuaries, they were already established as important monasteries as far back as the 3rd century BC. 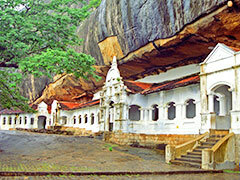 At first, the caves were a refuge for King Valagambahu in 1st century BC. Returning from exile to his throne at Anuradhapura, he turned the caves into a magnificent temple for the monks who sheltered him. Protected and enhanced by successive kings it has continued to be a place of great religious significance up to today. The cave complex serves as one extended Buddhist image house. The ancient capital of Anuradhapura reigned supreme for over a millennium as one of the greatest monastic cities of the ancient world famed for Buddhist culture and architectural achievements across Asia and Europe. Ruled by 113 successive kings and four queens, Anuradharpura was a majestic sprawl of magnificent palaces, ornate pleasure gardens, exquisite sculptures and vast Buddhist temples. The three main �dagabas� are amongst the biggest architectural creations of the ancient world smaller in size only to the pyramids at Giza. The Sigiriya Rock Fortress is possibly Sri Lanka�s most famous historical site and attracts thousands of locals and tourists every year. 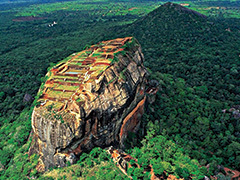 The history as recorded in the ancient chronicles states that the Sigiriya Rock Fortress was built by King Kasyapa. Kasyapa was King Dhathusena�s son by a non-royal consort and thus was not an heir to the throne. Unable to accept this, Kasyapa killed his father usurping the throne which rightfully belonged to his brother Mogollan. The primary resort town on the western coast of Sri Lanka, Negombo is highly sought after for its long stretches of golden, palm fringed beaches and the buzzing, cosmopolitan lifestyle of the town and of course, its close proximity to the airport at Katunayake. The economy of the town and the region is mainly based on tourism and its centuries-old fishing industry which continues to thrive today � making it a paradise for seafood lovers. 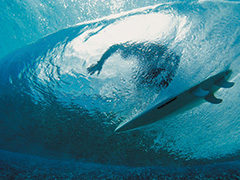 Here, myriad cultures mix and exist freely. The town, which is predominantly Roman Catholic, is called �Little Rome� due to the highly ornate Portuguese-era Roman Catholic churches found within it. 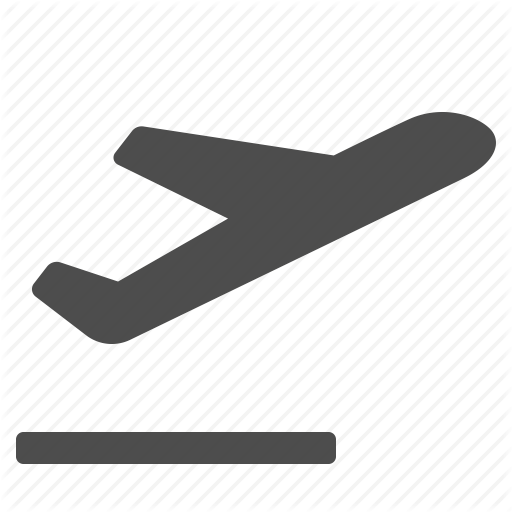 Upon arriving at the Katunayake International Airport (flights arrive early in the morning), you will be greeted by our chauffeur guide with a �Warm Welcome� and �Travel Kit� and be transferred to the hotel in Negombo for the night. 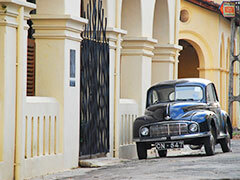 Along the way proceed on city tour in Negombo including Dutch canal and the star fort. 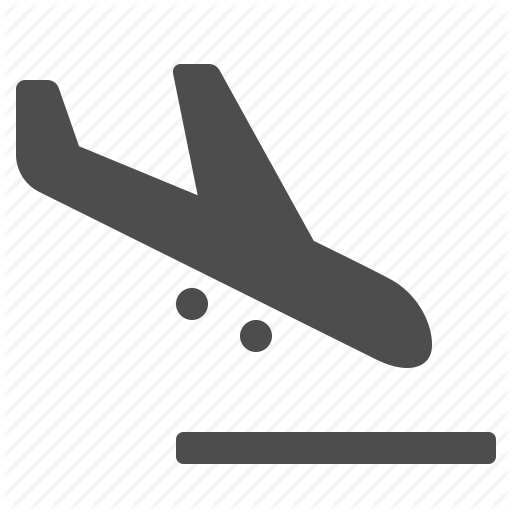 Upon arriving at the Katunayake International Airport, you will be greeted by our Chauffeur/National Guide with a �Warm Welcome� and a �Travel Kit� and take you to Negombo. 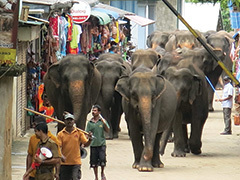 The Esala Perahera in Kandy is one in all the oldest and grandest of all Buddhist festivals in Sri Lanka, which includes jugglers, musicians, fire-breathers, dancers and lavishly adorned elephants. 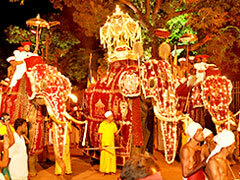 This ritual is performed by carrying the sacred tooth relic of the lord Buddha through the streets of the Kandy town that is completed with exceptional panache. EID Holiday promotions 2016 to visit Sri Lanka with your loving family to enjoy in Hills, Tea, Wildlife, Beach & etc.. 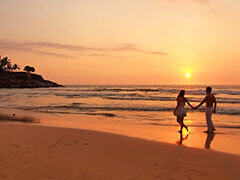 Contact us today to tailored your holiday package with luxury to budget hotels. 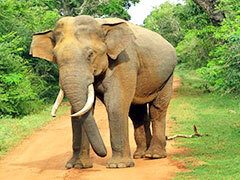 On Arrival at Colombo International airport you will be welcomed by our Chauffer guide. There after proceed to Ranweli Holiday Resort. 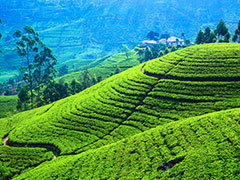 Luxury tours Sri Lanka, Travel Package for Honeymoon & Family travellers to enjoy in beaches, tea - hills, nature, wild-life & etc..
On Arrival at Colombo International airport you will be welcomed by our representative/Chauffer guide/National Guide. 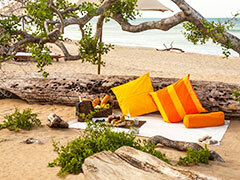 Upon completion of arrival formalities leave for your chosen hotel at Bentota. Arrival in Sri Lanka at Bandaranayke International Airport and transfer to Wadduwa. You will be greeted by one of our Chauffer Guides /National Guides at the airport.